Posted on 13th March 2018 at 2:51 pm. If you are looking for rooms in a shared student house in Plymouth for 2018/19, then then our last remaining 6 bedroom student home Argyll House might just fit the bill! 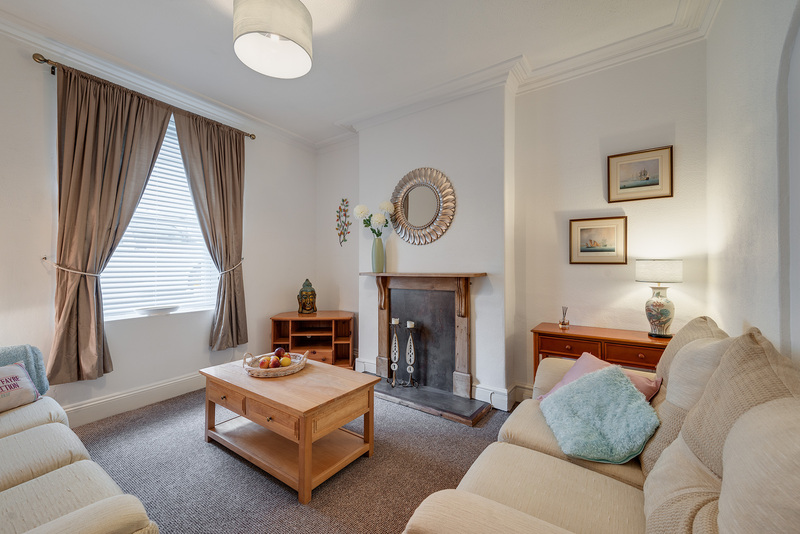 Rated ‘a quality property’ by the University Accommodation Office, and from just £96 per person/per week including bills, this property is well worth a look! Broadband, TV & Bills Included in this Shared Student House! The house offers free broadband with one of the UK’s fastest speeds of up to 350Mbps (business connections), phone lines, terrestrial TV and cable TV points to each study room, along with gas central heating and double glazed windows. A secure parking area with lockable gate is also available*, so if you want to bring your car to Uni – no problem! Tenants share the following facilities: 2 shower rooms with 3 w.c’s, a lounge with leather sofas, flat screen TV (43 inch min size) with freeview and licence paid for by us, and a kitchen/diner (with large dining table). The kitchen area has 2 double ovens, dishwasher, washer/dryer and two fridge/freezers, so plenty of space for everyone to store, prepare and cook food without being in each other’s way. Less than 5 mins walk from Plymouth University, Plymouth College of Art and town centre shopping. 6 double bedrooms over 3 floors. 2 shower rooms with 3 w.c’s. Kitchen / diner with seated dining area. Free broadband up to 350Mbps (business connections). Bills included (up to £10 per person, per week). Rated ‘a quality property’ by the University Accommodation Office. 43 inch (minimum size) flat screen TV in Lounge. Licence paid for by us. Private complex with suited pedestrian gated entry. * Secure parking space incurs additional cost.